Sempiternal Deathreign: A cult act that only released one demo and a Mini LP The Mini LP (limited edition on vinyl) back in that certain period of time) was entitled "The Spooky Gloom", and released in 1989 through the Dutch cult-label; Foundation 2000, this was the initial record label raised by Mark Fritsma, which also exclusively released Gorefest "Mindloss" debut-album. Stylistically, they were closer to Death than to Doom. The song Devastating Empire Towards Humanity has a definite Disembowelment touch to it. Despite the weak production, the music takes a time to sink in to truly appreciate the atmosphere. A copied cover without lyrics and a black studio tape. First three tracks are unlisted. 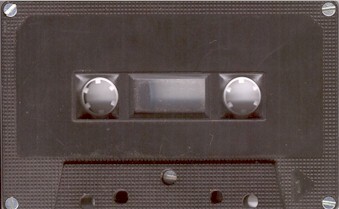 A copied cover without lyrics and a black studio tape. Different layout.